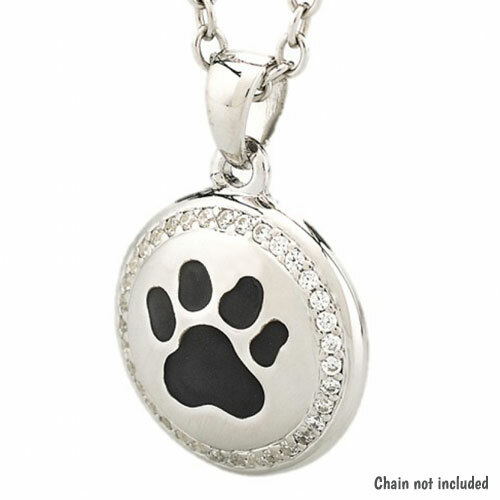 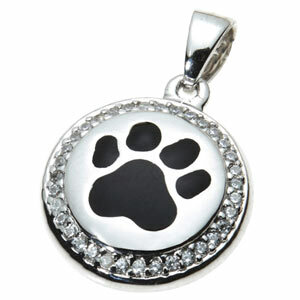 This memorial Sterling silver Belgravia necklace pendant is a classic round pendant embellished with a black paw print and surrounded with pretty clear cubic zirconia stones. 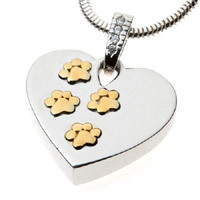 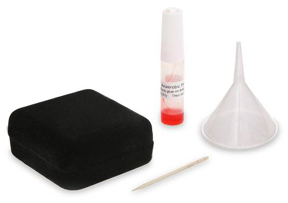 It has a small urn space for a tiny keepsake pinch/portion of pet ashes, keeping beloved memories with you. 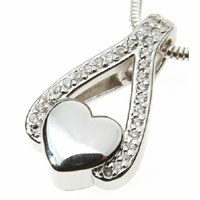 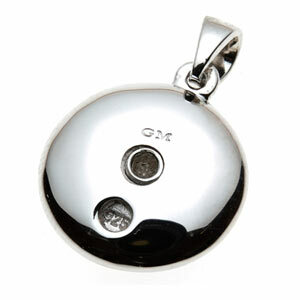 At the back of the pendant is a small secure threaded opening.